Last spring, I began working with a team of teachers and students at my school to plan, write, and implement a grant project to renovate and modernize our school library. 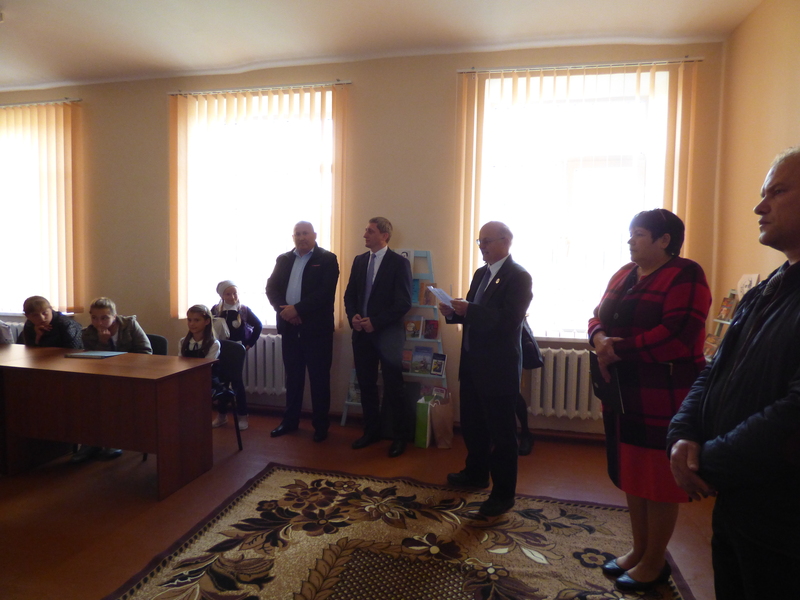 The grant was funded in part by a small Peace Corps grant, as well as by our village’s mayor’s office and our school’s parent association. Starting in February, we surveyed our students and teachers. Everyone was in agreement that though there are many things our school needs, the most important need was a “new” school library. Our children’s literature was in poor shape. 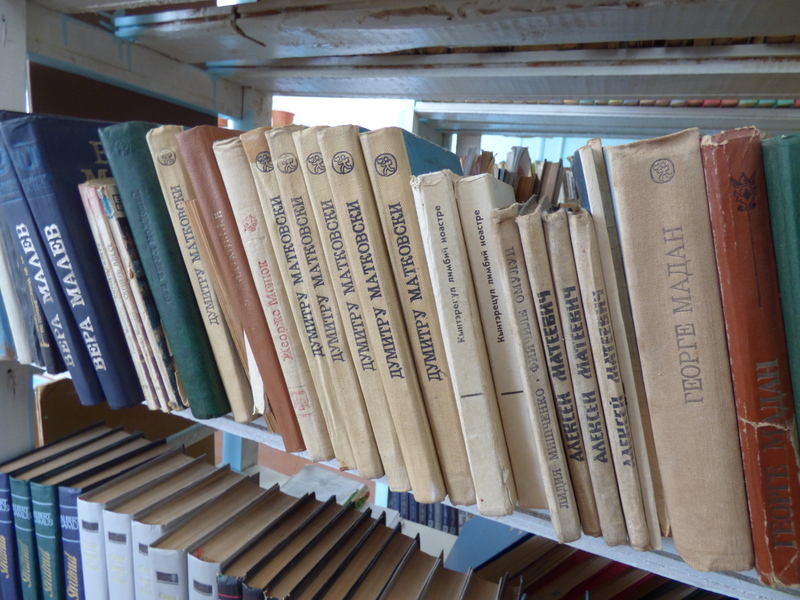 Many of the books were in Cyrillic. While we had a dedicated school library space, it was in poor condition. The ceilings and walls had cracks and occasionally parts of the plaster would fall down. The bookshelves had been cobbled together out of scrap wood and took up much of the space. The rest of the furniture in the room had been taken from other classrooms, but would be needed for a larger incoming 1st grade class. 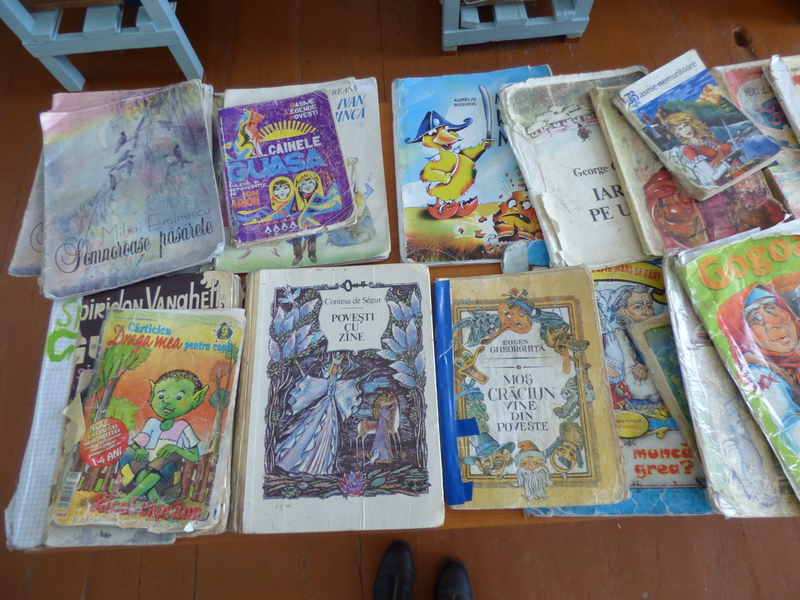 A large majority of the books were from the Soviet era and most were in Cyrillic even though our school is a Romanian school. There was no technology in the library and our school had no computer that was for student use for research. The almost completed library space after. The project included renovating the space and repairing the plaster walls and ceilings as well as the purchase and installation of new furniture and technology. We were able to buy a computer, projector, and projector screen, which were accompanied by a new printer the school had recently purchased. 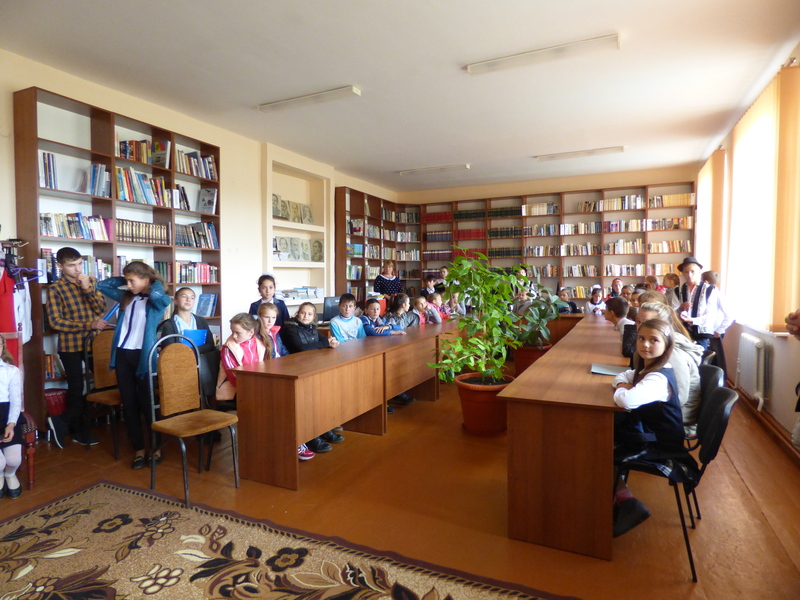 Most importantly, however, we bought approximately 300 new books for the library, mostly children’s picture books and literature, as well as a few resource books and a set of textbooks for the primary grades. Our grant project will wrap up at the end of this month, and we still need to have some seminars/workshops with the students and teachers on how to use the new resources we have gained, but the renovations and installations, as well as the purchases, have been completed. 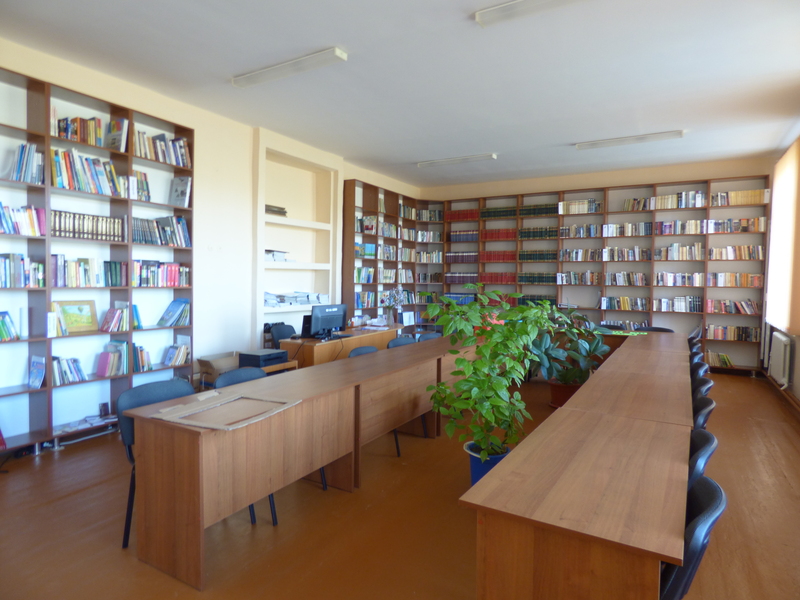 Last Monday, the school officially opened the library. 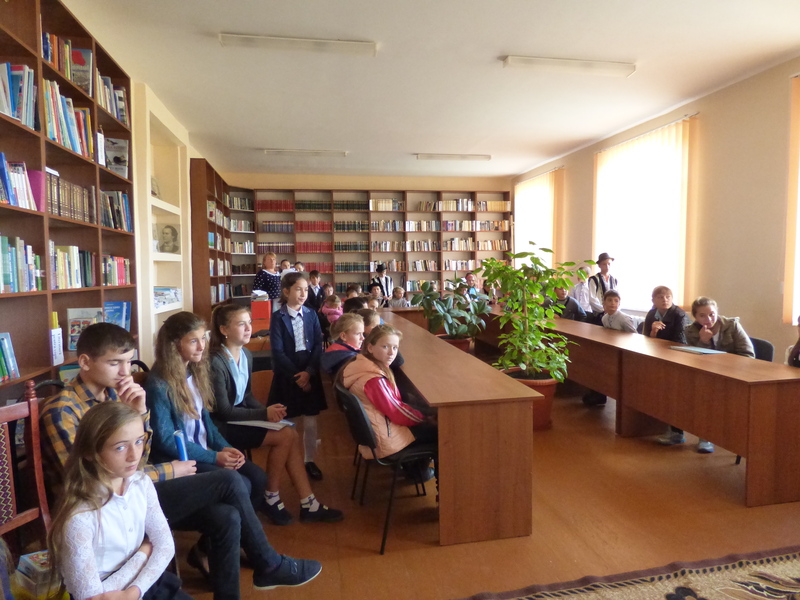 A group of students from grades 3 through 9 worked with our school librarians to plan a ceremony, which was held in the school’s “Festival Room” due to size constraints in the library. 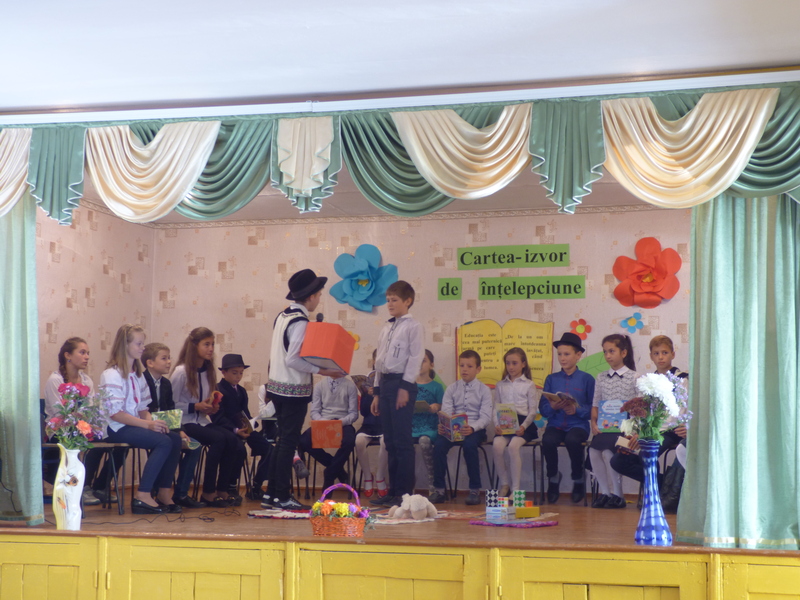 The concert included songs, poems, and many comments on the importance of books and reading, as well as a short skit. The students did a fantastic job! After, we held a ribbon cutting ceremony in the library. 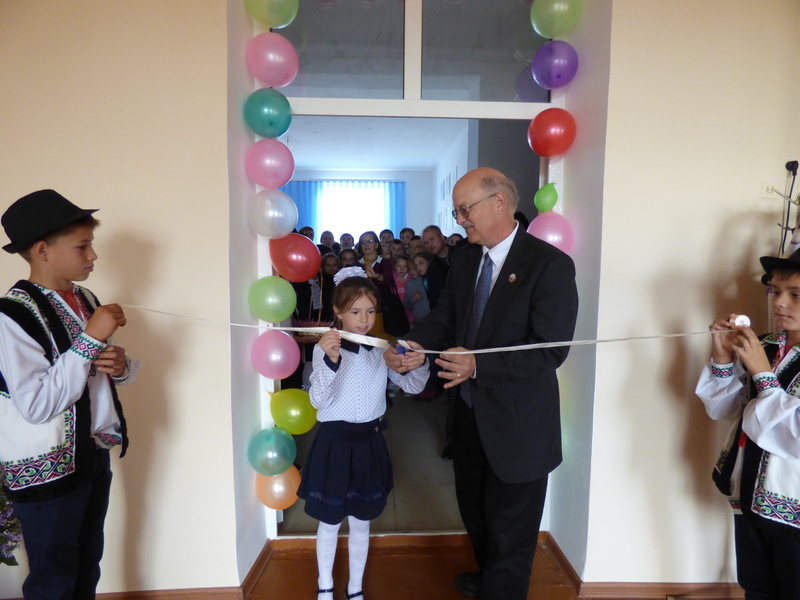 One of our Peace Corps staff members, Bob, and his wife attended the festivities, and he was given the honor of cutting the ribbon with a 3rd grade student. A government representative was also in attendance, and donated a number of books as well as laptop to be used in the new space. Ribbon Cutting Ceremony in the new library! I am so impressed by the hard work of our grant team. So many individuals spent so much of their time and energy on the planning and implementation of this project, and we now have a beautiful, safe, healthy, and useful space for teachers and students to use. 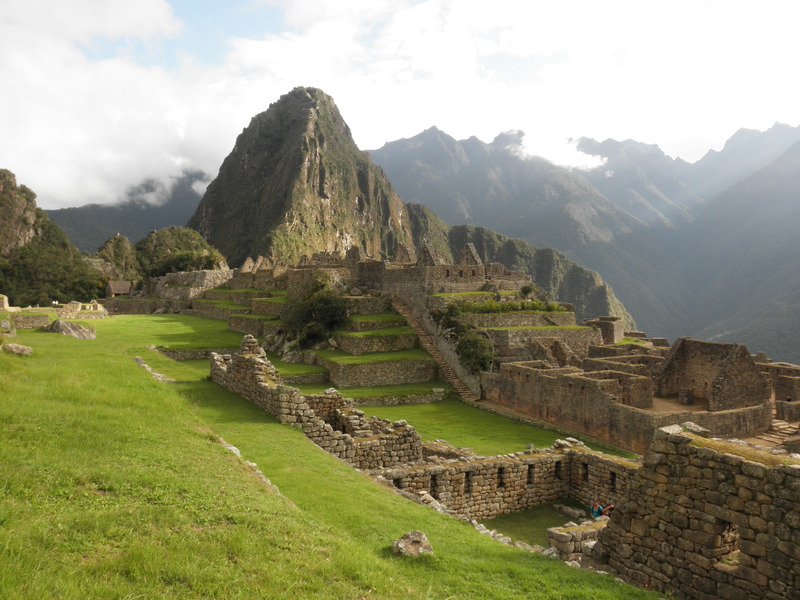 What a wonderful (and beautifully illustrated) Peace Corps story! What a wonderful gift all of you have given to these grateful students. Job well done!